If you are a Mac user, you may have faced this quandary many times. You want to download a video from a website, say YouTube or Netflix but are suspicious of using third party websites that are filled with ads, surveys, and malware. How would you like an all in one solution right on your desktop? Record videos from Netflix, Hulu, iTunes, BBC iPlayer Live, etc. The iTube Studio helps you enjoy your favorite viral video offline at your own leisure without having to worry about copyright issues. If you like a particular YouTube channel with 1000+ videos, iTube Studio does the job for you. Whether you want to download a single video or a complete channel or want to record any video on the screen from more than 10,000 video streaming website on the net, it fulfills all your video downloading needs. This software can also optimize your video downloads for over 100 devices such as smartphones, tablets and gaming systems. The number of websites supported for downloading videos in iTube Studio is too high to be mentioned in this article. The video services include YouTube, Vimeo, Dailymotion, Hulu, Vevo, Facebook, Metacafe, Lynda, Break and 1000+ sites. After downloading, there are one-click options for converting the video into another format that you may want for your Mac or iPhone for better storage and optimized playback. iTube Studio downloads videos in the convenient way possible without interfering with your day to day surfing. It allows users to extract audio file from the videos without depending an extra tool, like by manually putting the video URL into the software interface or automatically capture the video streaming. The very software can playback and manage the downloaded videos as well, hence it’s an all-in-one package. The Browser extension of the software makes it possible to download the video files even easier. It will add an extra button on the playing video or an entire playlist in the website like YouTube. Clicking on the button which says “Download All” will immediately add all of those videos to the queue and can be found from the software. Launch your Chrome or any other browser and open any video stream website like YouTube and select your video which you want to download. iTunes automatically install a browser extension of your favorite browser, while you were installing the software. The browser extension automatically adds a download button which will be visible when you visit sites like YouTube, Netflix or Hulu. 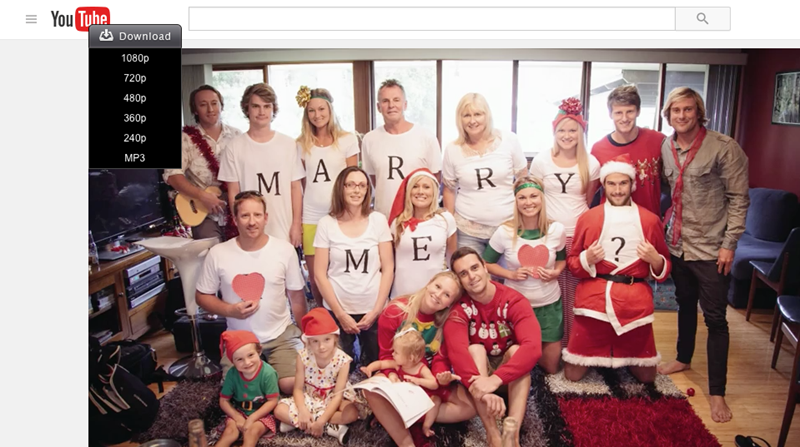 Just click on the download button and allow iTube browser extension to do the needful for you. Alternatively, if you do not like the first method and do it in the background, Just copy the URL of the YouTube video. Now open iTube software and paste URL, it will automatically detect and start downloading your video. If you want to download the full playlist or channel from YouTube just copy the first URL of the channel or playlist and paste URL in iTube for Mac, the software will automatically prompt you “Whether you want to download only a single video or a full playlist.” Click on full playlist if you want all the videos of that particular YouTube Channel. It can also convert the downloaded video files to numerous formats showing its versatility to be a complete video management tool. In comparison to the professional video converters available, the clarity of the converted files is also noticeable. The software always does a great job irrespective to which or from which format you are converting the videos. It can also download videos in 4K and Full HD resolutions using either Firefox, Chrome or Safari and play them in the same quality using the built-in video player. It also has the ability to convert the downloaded videos or even existing MP4/FLV/WebM videos to fit iPod, iPhone 5, iPad 4, PSP among other devices. The download process is very fast when compared to other competitors. The video downloads will run at the maximum possible speed utilizing the maximum available bandwidth of the internet connection. All you need to do is just click on the download button and select the quality that you want the file to be saved in. You can even choose only to save the audio of the file, as well as record videos that you are watching on various sites. This is especially useful if you are trying to download a video that is unable to be saved to your computer. Once the downloading is finished, you can choose to convert the file into a number of different formats, such as an audio clip saved as an MP3 or movies in formats like AVI and WMV. You can also make the video compatible with a variety of portable devices, like iOS devices, Galaxy phones, and many more. No matter how long is the video or where you have to download it from, this software is a life saver. • Automatically detect videos when the video starts to load in Safari, Chrome or Firefox. • Automatically determines the optimized file format, bitrate, and resolution for the selected target device. • Supports multiple video file downloads from the queue. • Easily download web videos from a wide range of popular video-sharing websites. • Export Videos to iTunes Library. • One-click operation to download videos to any specified format. • Can convert multiple videos at the same time to any selected format available in the software. • Convert downloaded videos for iPad, iPod, iPhone and more. • Multi-threading processing brings a fast downloading/converting speed. 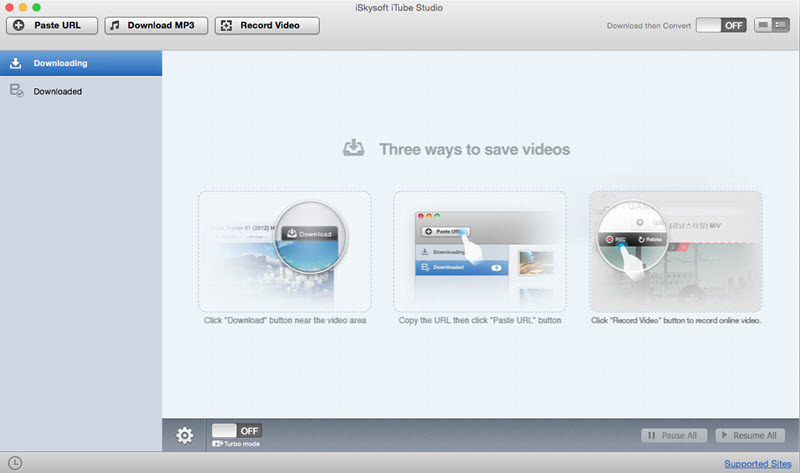 • Convert downloaded videos directly for editing tools like iMovie, FCP, etc. • Convenient FLV/MP4 management and player. 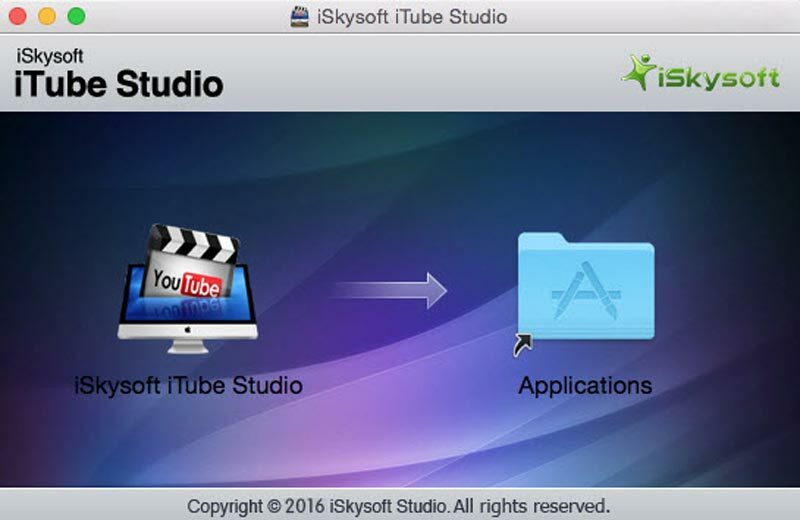 iTube Studio is one of the best all in one video solutions for Mac including video downloader software. It’s easy to use for any noob who has a basic understanding of computers and the internet. 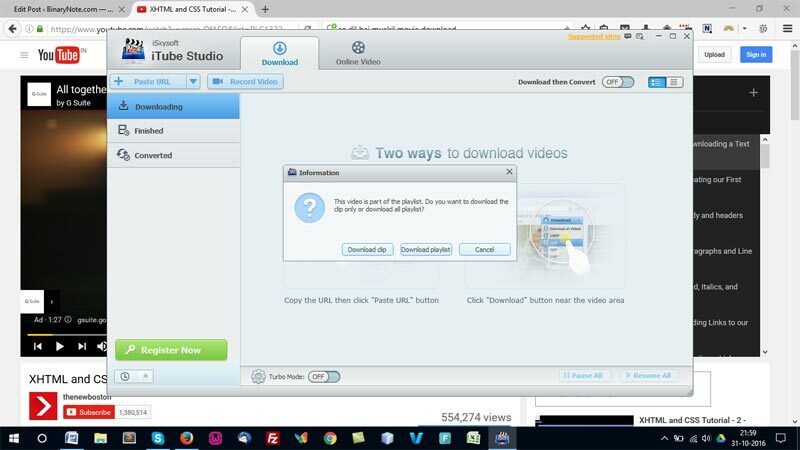 The iTube has a video player, video downloader video converter, and even a browser extension packed inside the tool. It works on any video service available on the Internet you can think of and offers more support options than almost all the products in comparison. If you are someone constantly on the go and can only watch videos offline, then this is a great program to have on your portable device or computer. In short, this program makes it extremely easy to download, convert and optimize online videos.